To maintain Waverley’s urban canopy cover, where trees are approved for removal, sufficient landscape area must remain to allow for replanting of replacement trees. which trees will be retained, removed, pruned or transplanted. minimise delays in the development assessment process. The report must accompany the development application. When a proposed development is deemed by Council to have an impact on trees with a moderate to high retention value, the applicant will be required to submit an arboricultural impact assessment report. The report must be prepared by a qualified arborist who has a Diploma of Horticulture (Australian Qualifications Framework Level 5). Please note there is a difference in skill level between an arborist that prunes trees and a consultant arborist. Details and estimates of Tree Protection Zones and Minimum Setback Distances for each numbered tree based on the Australian Standard AS 4970 – Protection of Trees on Development Sites. A separate tree plan clearly showing all trees to be retained/removed/transplanted and each tree numbered. Tree assessment and retention value based on an industry accepted standard. 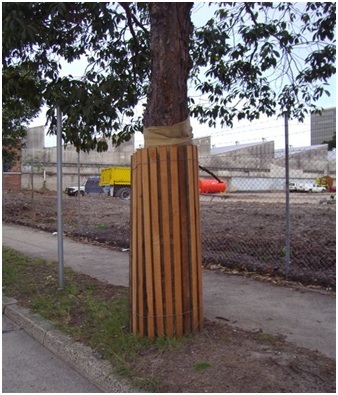 A post construction tree maintenance/monitoring program which can be used as conditions should the application be approved. meet the criteria as outlined in the Appendices – Arboricultural Reports for Tree and Development Applications and the Waverley Tree Management Policy. The assessment for removal or pruning of trees forms part of the development application process. the occurrence (or lack of) other vegetation nearby and whether appropriate replacement species can be planted. Trees adjacent or within four (4) metres of the site and identified as medium to high retention value and potentially impacted by the development process require protection measures in accordance with the Australian Standard AS 4970 - Protection of Trees on Development Sites during the demolition and construction phases of development. An Arboricultural Impact Assessment is required to provide recommendations for tree protection. See appendices for report requirements. Conditions and/or bonds will be applied where necessary to ensure maintenance procedures are followed for the protection of trees on adjacent public land or for the successful establishment of new trees. Compliance reporting is required for the duration of the bond. This bond may be wholly or partially forfeited if the tree is structurally damaged or removed during demolition or construction. 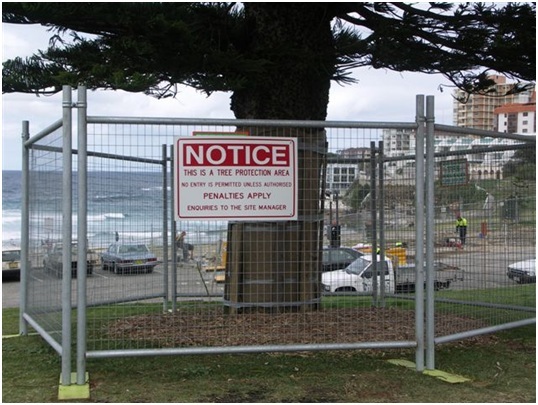 Applications to erect construction hoardings on public land must show the locations of any tree within four (4) metres of the proposed hoarding footprint. A bond for the protection of trees affected by a proposed hoarding will be imposed and may be forfeited if the tree is damaged or removed during demolition or construction. For trees listed as heritage, on the Significant Tree Register or considered prominent in an urban conservation area, an Arboricultural Impact Assessment must be submitted with the development application. In the case of heritage trees or those listed on the Significant Tree Register, the architectural proposal should aim to integrate the tree with the built form and promote its environmental values. Minor and small scale development often does not require development assessment by Council. This type of development is identified as 'exempt development' or 'complying development'. However, if trees, located on site or adjoining land and protected by the Waverley Tree DCP, will be affected by construction or demolition works a development application permit may be required. To maintain urban tree canopy cover, replacement planting is a condition of approval for development applications. Replacement trees must be an advanced approved species and be planted and maintained to maturity. Where there is insufficient space for replanting an advanced tree, the applicant is to provide offset planting on public land. This will be undertaken by entering into a deed of agreement with Council. Audit checks of replacement planting will be carried out by Council.